What's New @ Roselle Public Library: How do I find ... ? 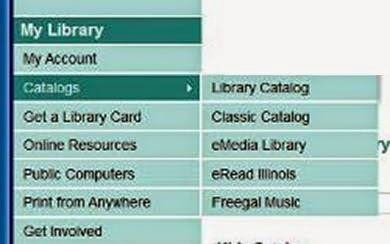 How do I find out which eBooks are available to borrow from the Library? Did I hear that I can download free music? What songs does the Library have? I'm trying to watch the Oscar nominees. What does the Library have on DVD? What is the newest book by Jo Nesbo? CATALOGS! We have catalogs that list all of our holdings, including eBooks, eAudiobooks, downloadable music and, of course, the books, movies and music on the shelves at your Library. - Freegal Music: the catalog of free downloadable and streaming music.